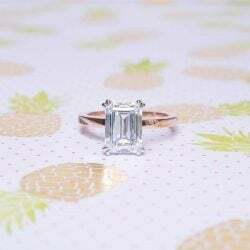 Custom Engagement Rings & Diamonds. Crafted in Toronto. Dealing with Gregory Jacobson at Jacob Mercari, was an absolute joy. 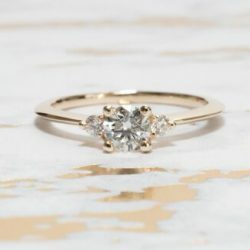 After painstakingly searching for a professional outfit which you could trust, I couldn't be more pleased to have purchased a ring from the company. 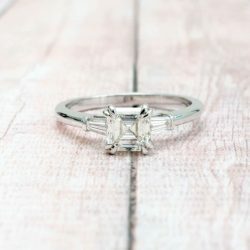 My fiancee and I were beyond happy with the outcome of the ring quality, price and delivery time. 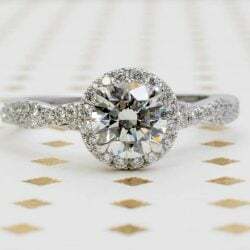 We will definitely be going back to deal with Gregory Jacobson at Jacob Mercari, and will strongly suggest anyone looking for jewelry to only deal with Gregory Jacobson at Jacob Mercari! Thanks again! Love the service provided, got exactly what i wanted, in time for when i needed it, could not be happier. If I could give 6/5 stars, I would. My experience with Jacob Mercari was nothing short of perfect. 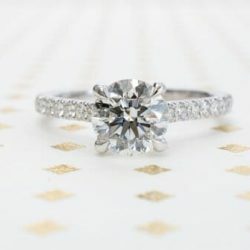 I worked with Greg on my engagement ring, and from the very first meeting through finished product his customer experience was above and beyond. 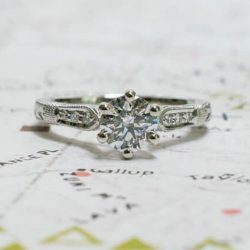 He made me very comfortable with the whole diamond buying experience, gave me much knowledge on the subject and was never pushy with options or even working with his company. We created a custom piece, stayed in budget and my fiance could not be happier with the finished product. 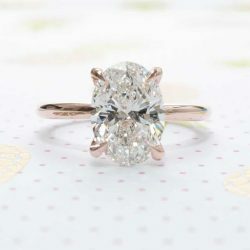 I visited numerous other jewelers and can say without a doubt I made the right decision. 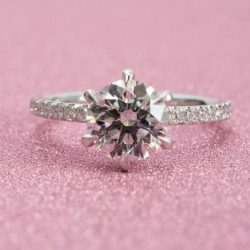 I highly recommend Jacob Mercari for anyone looking for an engagement ring. Click the link below to start the custom design process and schedule a meeting. We like to rest easy at night knowing we have made a beautiful piece of jewellery manufactured from environmentally sustainable materials. We insist on only working with industry partners who are hard-working, trustworthy, and dependable, and who subscribe to the same values of promoting environmental sustainability and responsible practices. To that end, we are proud to work with recycled gold and platinum, as well as offer environmentally-responsible CanadaMark loose diamonds. We exclusively choose partners who are members of the Responsible Jewellery Council. We use recycled gold and platinum in our jewellery, preventing them from having a harmful impact on the environment. We are proud to be an authorized distributor of CanadaMark diamonds, who are the standard bearers for providing responsibly and environmentally sustainably sourced diamonds from their mines in Canada’s Northwest Territories. 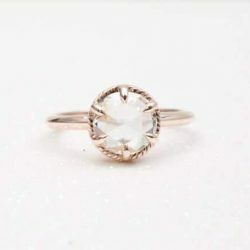 Our promise to you is that your diamond or gemstone is obtained from verifiably responsible partners and is sourced from conflict-free mines, through fair trade and employment practices. We make all of our products ourselves at our Toronto, Canada, facilities. Since we control the manufacture of your jewellery, you can rest assured that it was created responsibly and in a positive environment. We believe in providing our associates with with fair wages and positive working conditions. We also believe in giving back to the community, and as such we donate a portion of our sales to various charitable organizations. We work with the finest artisans and use only the highest quality alloys and materials. We go the extra mile to make sure the engagement rings and jewellery we produce are made with an extreme eye to detail and precision. If a piece does not meet our exceptionally high quality standards, we will start over and do it right at our cost. We employ only the highest-skilled jewellers and goldsmiths who work with the finest quality diamonds and gemstones.That means no brown tinges, no strong fluorescence, no surface inclusions, no cracks, and no centre black inclusions. 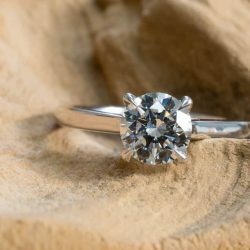 From top quality metal alloys to the most exquisitely cut and ethically sourced diamonds, you’ll be absolutely assured of the finest quality stone. 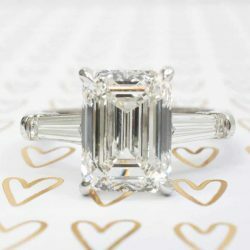 Your custom ring will be unlike any other on Earth, and she’s guaranteed to receive a ring that will be as unique and precious as your love. Our attention to detail is second to none, and every piece is rigorously and thoroughly hand inspected before delivery. You’ll enjoy the peace of mind that comes with knowing each diamond has been strictly graded and expertly cut. We go well beyond the 4 C’s – carat, colour, clarity, and cut – delving into the crystal’s inner qualities and very carefully critiquing it based on its purity and various colourations – to ensure that we’ll never deliver a product that is anything less than perfect. We stand behind everything we sell. But most importantly, we stand behind you. 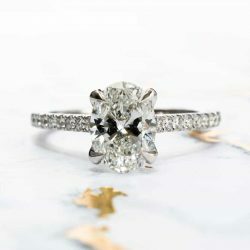 If you select a natural diamond from our inventory and change your mind within six months, we will credit the full amount of the diamond cost to you. It’s our way of letting you know we’re in this together, and we will never allow our customers to experience buyer’s remorse. We promise you an experience free of surprises. Our artisans will craft the ultimate ring creation after detailed consultations with you. 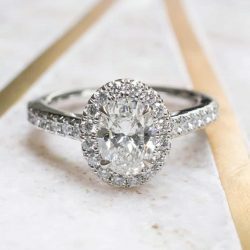 But if your custom-designed ring isn’t exactly what you had imagined at the time of final inspection & pick-up, we’ll remake it at no cost to you. It’s on us to make sure we exceed your expectations. Unlike most jewellers, our partnership with you doesn’t end once we’ve delivered the perfect jewellery – it’s just the beginning. We provide a full range of services post-delivery to ensure you maximize your investment and fulfill her dreams. Our free aftercare services include a ring sizing, as well as inspection and diamond or gemstone tightening to ensure a magical fit. 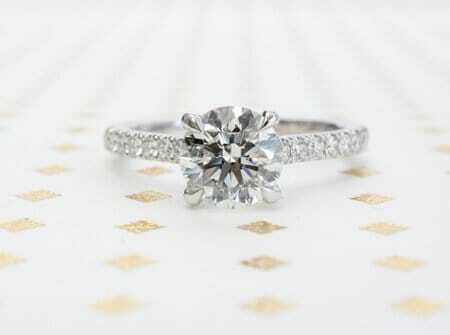 We’ll clean your ring for the life of the ring, and we will be delighted to polish it for you before the wedding. Our mission is to consult with, advise, and educate you in a relaxed, private, and friendly environment. 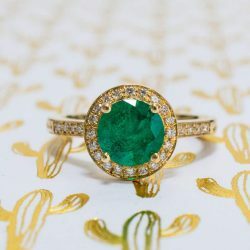 There are no commissioned salespeople with Jacob Mercari, just passionate jewellery design experts who are committed to helping you fulfill her dreams. You’ll never feel pressured in any way. We take our ethical obligations seriously. All of our creations are made locally in Toronto, Canada, using only materials ethically produced and sourced from conflict-free conditions and using environmentally sustainable processes. We are an authorized distributor of CanadaMark diamonds, representing the pinnacle of responsible diamond trading. We believe in offering our employees fair wages and employment conditions, as well as giving back to the community by donating a portion of our sales to charity. All of our products can be delivered to you free of charge, anywhere in North America. We are committed to your satisfaction, and we will price match any comparable competing offer. 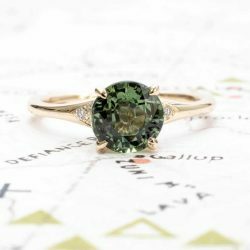 Moreover, unlike other jewellers, there’s no need to haggle with us; all of our products feature our most attractive price upfront, with full transparency, so you’ll know you’re receiving the best quote possible. Our jewellery is made by us. A complete control over manufacturing lets us keep our costs down and our quality exceptionally high. 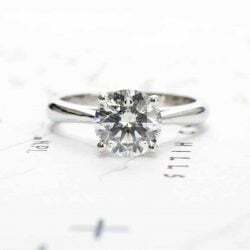 We also work directly with licensed diamond manufacturers to provide the most brilliant diamonds at the sharpest possible prices. With 30 years of experience in the business, we know what to look for and how to source the best products at a fair and reasonable cost. We provide free aftercare support for all our valued customers. 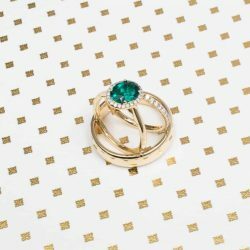 From free ring sizings, tightening, and maintenance to free cleaners – we’re at your service to ensure your jewellery remains in pristine condition. All of our industry partners are carefully screened and conform to the highest ethical standards, and we will only work with members of the Responsible Jewellery Council. Our partners are regularly audited for supply chain custody, ethics, and safe working conditions. 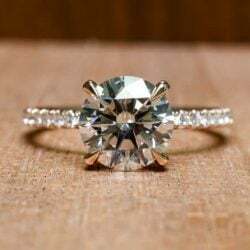 At such a special time in your life, you want to ensure that your diamonds are sourced from only responsible and ethical suppliers. 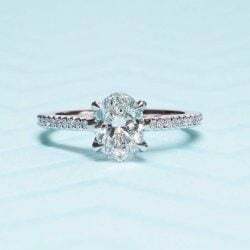 We require our manufacturing partners be licensed to receive rough diamonds directly from responsible mining companies such as De Beers and Dominion Diamond Corporation to give you peace of mind from knowing that your diamond has been obtained fairly and responsibly. We vet and confirm the quality of the sources of all of our diamonds and gemstones, and only obtain loose diamonds directly from the manufacturers – never through intermediaries. 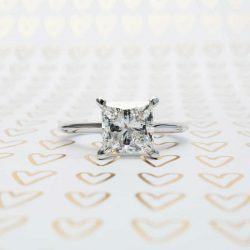 We offer loose diamonds from CanadaMark, a hallmark of the Canadian-owned Dominion Diamond Corporation committed to responsible mining and sustainable practices. All of our diamonds are independently tested and certified by the Gemological Institute of America (GIA) to ensure their quality. Any diamond we sell will include a GIA report and grading certificate. 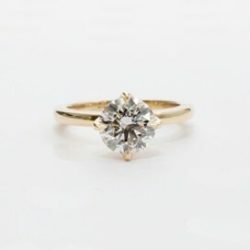 We are proud to use recycled gold sourced from previously mined jewellery and discarded electronics as part of a sustainable and responsible jewellery practice.